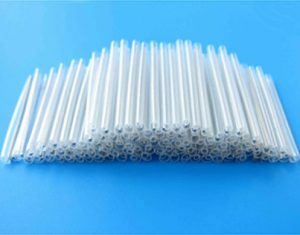 Fiber splice sleeve is composed of a steel strength member, inner fiber tube and outer shrink tube, two clear outer tubes for viewing the color of the optical fiber itself.These sleeves are designed to fit smaller width splice trays while still accommodating both 250_m and 900_m fibers. 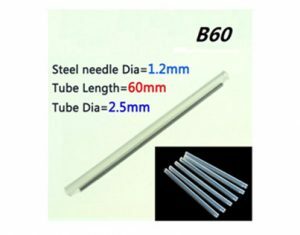 A choice of strength member (stainless steel) provides additional rigidity to prevent micro bending or breakage of the fiber ；and the advantage of just one aperture to prevent misalignment.This single opening provides greater assembly accuracy and repeatability and prevents the misplacement of the fiber. The EVA inner tube that is visible at each end of the splice sleeve. Flexible pinless splice sleeves are also available.It can reconstruct overlay fiber and can provide good mechanical strength at the junction,to ensure good optical transmission properties. Strength member is made from “”Full hard”” stainless steel of 304 grade and is ground at the edges before polishing to make it completely burr free to avoid rupturing during shrinking. 304 grade gives better corrosion resistance, even in coastal environment. Resistant to heat shocks, no cracking dripping or flowing. Our fiber optic fusion splice protector sleeves have good performance of moisture-proof and environmental .And they are protectionare compatible with all splice sleeve ovens and trays ,providing maximum lasting protection for splicing fiber in any application.